The I'm Busy Synopsis: Send your IT Professional this page, and ask them if High Performance is turned on your server. Millions of Servers across the world are bought and sold by companies who really do not know what they are buying. There was a day where Server Processors could be measured by one number, Instruction Cycles per Second; or MHz and GHz (Megahertz and Gigahertz), and it was assumed that bigger is better. A 1,000 MHz was faster than 600MHz, and 2.8GHz is faster than 2.1GHz. However today it is a lot more nuanced than that. Servers have multiple cores, and differing system architectures that enable them to perform better under certain workloads. And, what are these workloads you ask? It depends. Sorta how every Car Model wins some sort of award, there is a benchmark that will showcase a particular Server Configuration’s strengths and minimizes its weaknesses. Sure, the driver makes this decision, they decided to buy a car with certain performance, and they chose to drive it a certain way to maximize speed over efficiency. Businesses need to realize that they have a choice with purchasing servers and how they use them. Case in point. Earlier in 2015 I was on site with a customer for two weeks. Their chief concern was upgrading their Business Software from a 2013 version to the latest 2015 versions. In my time there I noticed that their server was slow, almost uncharacteristically slow. I decided to investigate, and this is what I discovered. Their server was manufactured in 2012, and thus had a 2012 Manufactured Processor (CPU), with a design from 2011. I looked up their the Processor for published benchmarks. Essentially, how much performance does this CPU offer? I found something shocking. It was nearly a third of the published benchmark. They were using this server at only 33% capacity from 2012 to 2015, three entire years! I knew exactly what I was dealing with. Dell the manufacturer of this system, turned on at the factory the “Eco Button.” Essentially, it was self governing to prioritize Economy over Performance. A $10,000 server held back because someone wanted to promote the efficiency of the server versus performance. I gave my findings to my client after I was sure this was the cause, and we agreed to turn this setting off. A few restarts later, and it was done. The next morning we watched as people interacted with the Business Software (Fishbowl) and they all commented on how much faster it was to login, and perform tasks. I was not done with optimizing this system, but that’s for another blog post. With this “Eco Button” off, the whole office was much more productive. You could argue and measure a host of metrics; time saved waiting for transactions, distractions because an activity takes too-long and might-as-well-get-some-coffee-now results. What was amazing was that the IT Professional who manages the hardware for this client had absolutely no idea that this performance setting was the root-cause of head-scratching events when working with this system. So here is the good thing and bad thing about “Eco Mode” I think it is a great thing to have. Especially for devices where run-time is the paramount concern (battery-enabled devices). However, what I’m not impressed is how some of those “Eco Mode” options unfortunately hold-back performance when its needed. The human time lost is incalculable, wait it is. Steve Jobs famously cajoled an Apple Engineer to improve a system start-up time because it was like saving lives for the time lost because of people waiting. So, in conclusion, have a conversation with your IT professional and ask them if they are getting the most out of their systems. 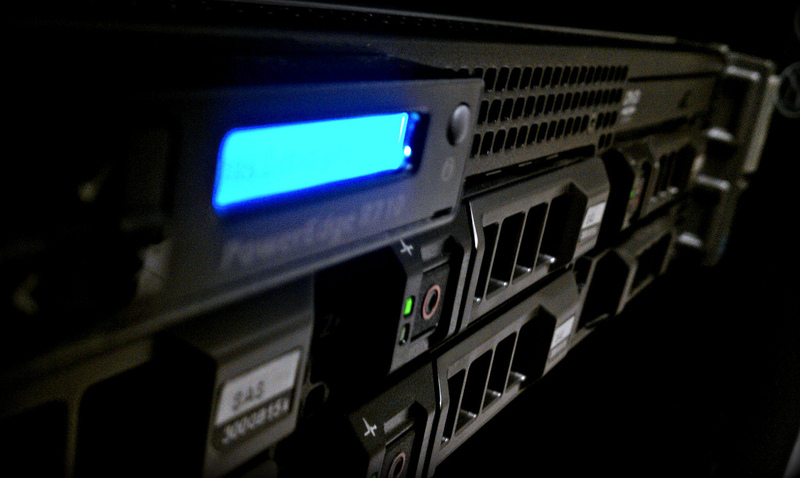 Additionally this lengthy article on server performance is still relevant today. Even VMWare publishes this question/answer page on power performance. If you have comments or questions about this post, please give us a shout.